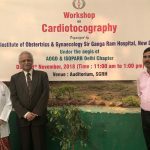 The CTG Workshop at Sir Ganga Ram Hospital, New Delhi on 8.11.18 has been an enjoyable and vibrant event with excellent interaction among all the participants. 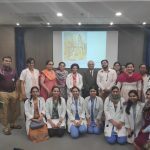 Thanks to Dr Mala Srivastava for her initiatives to organize this academic programme of ISOPARB. Diwali festive regards to all. ISOPARB was founded in the city of Patna to generate the message of peace and happiness in this land for the mother, child and the whole family i.e. Perinatology Society, irrespective of rich and poor people.